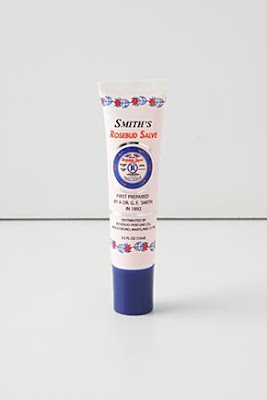 The Beauty Buff Blog: Smith's Rosebud Salve Tube! When I go to stores like Anthropologie, Urban Outfitters or Sephora, I always need to put extra blinders on when I get into the checkout line. 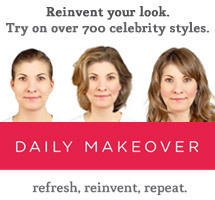 That's when they really try and get you with their tempting, seemingly inexpensive accessories and cosmetics! These not-so innocuous headbands, miniature perfumes and tubes of lip gloss always lure me in and somehow I always end up finding these last minute goodies at the register with me. I was, however, pretty excited when I was in line at Anthro. (trying desperately to avert my eyes)and spotted a familiar brand in fancy new packaging! Smith's Rosebud Salve-one of my all time favorite lip balms now comes in a tube! I've gone through a few of the originals tins (and while they have a wonderfully long lasting lifespan), the OCD part of me has always craved a more germ-friendly tube. Something about dipping my finger into the salve and then smearing it all over y mouth after using public transportation always got to me! Luckily, nothing but the OCD-appropriate tube has changed. It's the same soothing formula and smell. The tube still works miracles on not only your lips, but also on your cuticles, cracked/dry hands and feet and randomly annoying flyways and cowlicks. So, if you're planning on making a trip to Anthropolgie (you know you are), get excited about heading to the checkout line and scoring your favorite balm in a fancy new outfit!